This is one emotional story, if not because of the romance then because of the characters’ backstories. They both have issues, one is more affected by them than the other, and they both want to move forward. However, only one is willing to put the past behind completely. Ok, just a little bit of what we have here: Roy meets Daisy “thanks” to an unfortunate event. He is the one that saves her and with that, they have a spark. From here on his intentions are clear and strong. However, her fears are stronger. Daisy’s trauma is deeper than they both could have imagined and Roy has to fight not only his demons, but also hers. Is a fight against the past one that can be won? Roy and Daisy have such powerful backstories. I was captivated by how well the author has captured their emotions and their fears. It is a story that touches you from the first pages. At first, we see the couple grow closer and closer and then the story focuses more on Daisy and her intentions to reconnect with her parents. I loved it so so much! While our characters have their own flaws, I loved how they balanced each other throughout the chapters. Where she is insecure, he is her strong arm. I must admit that here and there I felt the actions or the dialogue a little bit forced, it does little to affect my judgment . 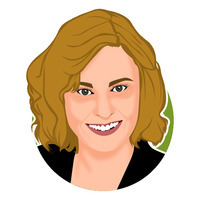 Rebecca Trogner started writing her first novel after watching True Blood. Of course it was about vampires and thus The Last Keepers Daughter was born. The next, The Last Guardian Rises, continued the series. 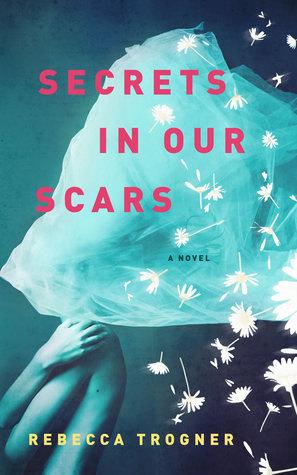 Her latest book, Secrets In Our Scars, is a contemporary romance and a lot spicier. She’s working on her fourth book with the help of her rescued animal pets.